To achieve the aforementioned the SouthMed WiA project implements a range of diverse activities including the support to projects on gender equality in audiovisual, capacity- building and coaching of local operators, especially women, awareness raising and outreach activities to relevant stakeholders, networking, and research on the image and role of women in the film sector. 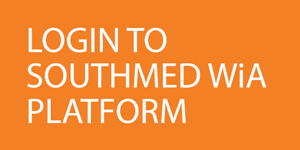 SouthMed WiA is co-funded by the European Union within the framework of the regional programme Med Film. To enhance the role of women in the SouthMed Audiovisual sector by funding 6-8 projects from the seven target countries that aim to promote gender equality in the audiovisual sector. To strengthen women’s skills and their capacities to advocate for and participate with prominent roles in the local and regional audiovisual industry. To enhance evidence, provide comprehensible, relevant arguments and raise awareness regarding the potential of female involvement in the audiovisual sector and in society globally.